Civita Castellana is located about thirty miles north of Rome. It can easily be reached by bus or train from Viterbo. In 1800 King Charles Emanuel IV of Sardinia (later King Charles IV) and his wife Queen Clotilde stayed in this palace. 4 This was probably in June after Charles and Clotilde left Florence for Rome to escape the advancing French troops. 1 Corso Bruno Buozzi leads out from the east end of the main piazza of the town (Piazza G. Matteotti, formerly Piazza della Pace). 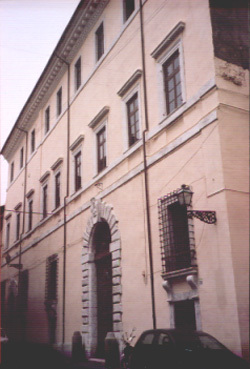 2 I gratefully acknowledge the permission granted me to access the palace by the present owner, Signor Felice Canfora. 3 The Royal Arms are normally grandquarterly, 1 and 4 quarterly France and England, 2 Scotland, 3 Ireland. Here, however, they are quarterly, England, Scotland, France, Ireland. Image 1 (Facade): © Noel S. McFerran 2002. 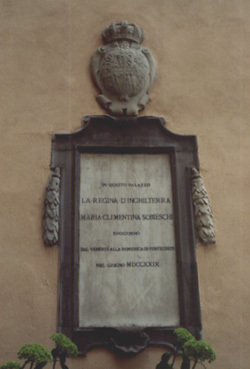 Image 2 (Inscription): © Noel S. McFerran 2002. This page is maintained by Noel S. McFerran (noel.mcferran@rogers.com) and was last updated October 23, 2006. © Noel S. McFerran 2000-2006.